These earphones from one of the most respected names in audio come up lacking. In North America, Sennheiser is best known for its professional-grade monitor headphones, microphones, and the sort of speakerphone hardware that you’ll find in an upscale office environment. While its consumer audio products are wildly popular in Europe and Asia, they’ve yet to make much of an impact in North America’s saturated audio market. 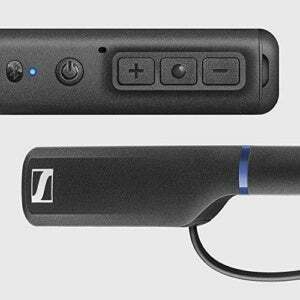 For this to happen, Sennheiser needs a reasonably priced hit to break the ice. Unfortunately, Sennheiser’s CX 7.00BT In-Ear Wireless earbuds aren’t that breakthrough product. While reasonably priced and technologically sound, a number of frustrating flaws will have you looking elsewhere for your next set of Bluetooth earphones. Note: This review is part of our roundup of wireless earphones. Go there for details on competing products and our testing methods. 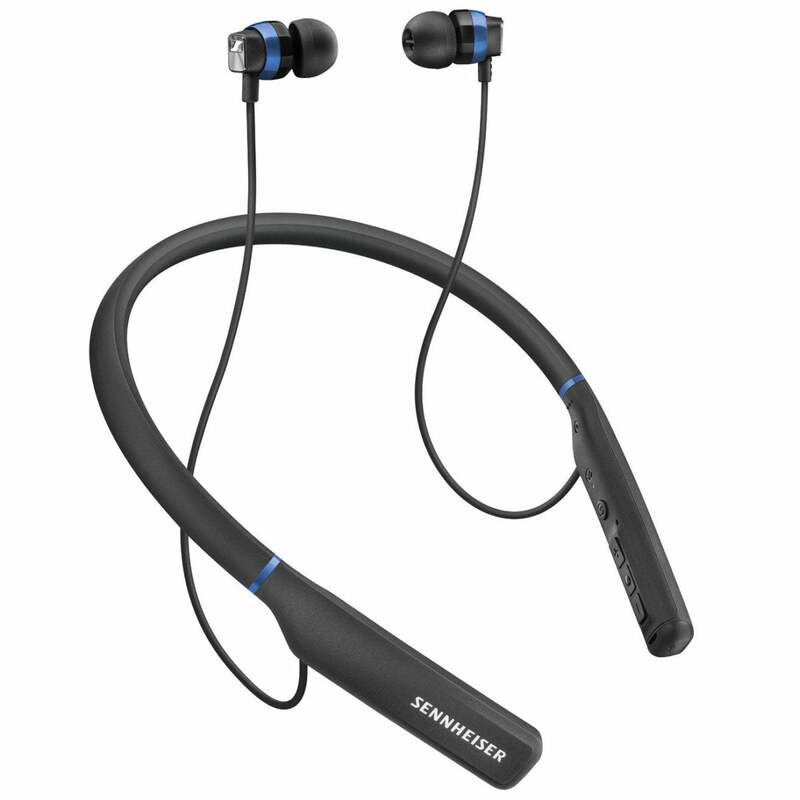 While many Bluetooth earphones are connected to one another by a wire containing the headset’s in-line controls, battery, and Bluetooth radios, Sennheiser’s CX 7.00BT earphones instead sport a plastic neckband. In most cases, neckbands make earphones less compact than a set of Bluetooth earbuds that can simply be rolled up and stuffed in one’s hip pocket. But the neckband design boasts a number of advantages. For starters, when you pop your earbuds out, there’s no need to pocket them—they’ll dangle from the neckband until the next time you want to use them. For that matter, the plastic neckband here is large enough to contain the battery, Micro-USB port, controls, microphone, and other bits and pieces required for Bluetooth headphones, which allows for smaller and lighter earbuds than you'll find with competing devices that need to hang this equipment elsewhere or hide it behind the earphone caps. This is certainly the case with these earbuds: There’s not much to them besides the drivers, the silicone tips, and the wire that attaches each earbud to the headset’s neckband. The neckband itself is flexible but sturdy, and it's wide enough that someone with a thick neck won’t find it uncomfortable to wear. More slender individuals may, however, discover that the neckband feels huge when they wear it. As such, I’d suggest trying on these earphones before investing in them. The CB 7.00BT's neckband controls are easy to find, once you get used to them. The CX 7.00BTs' multi-function button, volume/track controls, and Micro-USB charging port are all contained in a node on the left-hand side of the earbud. At first, I struggled to find the controls, which Sennheiser placed on the inside of the neckband. After a couple of days of using them, however, I found I could easily locate the buttons to pause my music, select a new track, or accept a phone call. The CX 7.00BT earphones come packing Bluetooth 4.1. This is moot for anyone using iOS or macOS as their audio source, but for everyone else, Sennheiser’s offering of Qualcomm’s aptX audio technology will be greatly appreciated. These earbuds are also capable of connecting up to two devices simultaneously, such as an iPhone and a MacBook. I experienced few connectivity issues while wearing the earphones at home, but I encountered frequent connectivity problems while walking down a city street in moderate traffic. If you plan on wearing these as you walk to work or head out on a jog, chances are that you’ll suffer a similar fate. While we’re on the topic of being out and about, I’d like to address the CX 7.00BTs' IPX rating: They don't have one. There is no mention anywhere of these things being water resistant. Given that they’re designed to hang around your neck and outside of your clothing, this feels like an inexcusable oversight. Even Aukey’s surprisingly decent $28 Latitude EP-B40 earphones can weather a splash or two. For this price, consumers deserve better. Sennheiser claims that the CX 7.00BTs offer 10 hours of runtime before they’ll need to be recharged. Over a week’s worth of use, I found this estimate to be accurate. When the time comes to top these earphones off, their battery can be juiced up in 1.5 hours with an included Micro-USB cable. The CX 7.00BTs audio issues start with the silicone ear caps they ship with. Sennheiser includes a number of different sizes with the earphones, making it possible to find a comfortable fit that allows for hours of listening. Unfortunately, the ear caps provide no passive noise cancellation to speak of. At all but the highest volumes, I was able to hear the noise around me while I listened to music. This would be fine for a set of earbuds you plan on using at the gym. However, as the CX 7.00BTs are not sweat resistant, I have to chock up their lack of PNC as an oversight on Sennheiser’s part. The noise interrupting my listening with these earphones didn’t end with noise coming from my environment: I was frustrated to find that microphonics abound with the CX 7.00BT. As I walked with them on, I could hear each of the earphone cables banging against my neck, counting every step. When I turned my head, I could hear a rustle as the plastic of the neckband rubbed against my skin. As for the audio itself? At times, it can shine. While listening to The Mighty Stef’s "Death Threats," the CX 7.00BT’s drivers proved capable of some very nice separation and outstanding mid-range frequency reproduction. That said, I found that higher frequency sound was often shrill enough that I felt the urge to turn my listening volume down. Most disappointing, however, was the bass. At times, such as while listening to "Cairo Keller" by Bohern & Der Club of Gore, the normally low booming hum of Robin Rodenberg’s bass guitar sounded a little bit reedy and, at higher volumes, a little distorted. It’s worth noting that Sennheiser allows users to tweak the sound of the CX 7.00BTs with their free CapTune app, available for download from the iOS App Store. The app walks users through changing the earphone’s equalizer settings, which does improve their sound a bit. Unfortunately, you can only use these settings through the CapTunes app. If you prefer to listen to music using, say, Ecoute or Apple Music, you’ll be doing so with the CX 7.00BTs' default EQ settings. This feels like a tremendous misstep on Sennheiser’s part. Frequent connectivity issues, a lack of waterproofing, and less than stellar sound make Sennheiser’s CX 7.00BT in-ear wireless earbuds difficult to recommend. 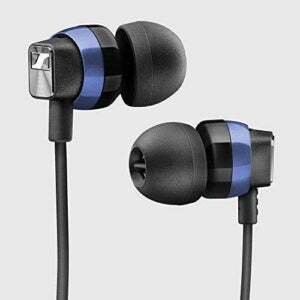 There are other more capable earphones available--many of which we’ve reviewed--that would be a wiser investment.